We have an established lawn care business for sale in South Beds. This business was established in 2010. This is a Lawncare franchise which is owned and operated under licence from the Franchisor ServiceMaster Limited, under the brand name of TruGreen Professional Lawncare. The business is licensed to provide professional Lawncare services to residential and Commercial customers within a defined territory which have approximately 145,000 households, covering South Bedfordshire, including Leighton Buzzard, Dunstable and Bedford. The territory is large enough to support multiple vehicles, with the potential of each van generating turnover in the region of £60K plus. For an ambitious owner the opportunity is there to use the stable customer base that is currently served and implement a marketing programme to increase sales and build a substantial Lawncare business. This business currently has in the region of 330 regular residential customers. These customers are on yearly agreements, with a programme of 5-6 treatments per annum. There has been year on year marketing completed in the area, providing an opportunity for any potential purchaser to develop the business through further marketing opportunities. Assistance with this is available from the franchisors marketing department. The focus of the business is on the residential market, and the business can be further developed by providing lawn care and gardening services to small commercial businesses within the territory. This business is presently a two man/one van operation (the business owner and an apprentice) and does not currently have any other employees. This business is run from home with a double garage used for stock and machinery. The Business can be re-located anywhere within the franchised territories. This is a well-run and operated business and the sole reason for the present franchise business owners looking for a sale, is that the business has been focused on ensuring that they make a reasonable living and that the father and 50% shareholder reached a point where he could retire. The main focus that of retirement has been realised at the end of last year and the son has decided that he would like to pursue other business interests, having just completed his fifth year treating lawns. The main focus that of retirement has been realised at the end of last year and the son has decided that he would like to pursue other business interests, having just completed his fifth year treating lawns. A scarifier, an aerator, professional spraying equipment, and a range of fertiliser spreaders. Two week training before commencement of trading provided by the Franchisor covering all aspects of running the business. Access to training courses provided by ServiceMaster Limited. Access to Operations manual, marketing material, H&S information and documentation. Access to on-line shop for bespoke products, equipment and uniforms. At present no van is included in this sale, but the selling franchisee is prepared to discuss this as a separate item which will incur an additional cost. The lawn care industry is huge. With 26.4 million households in the UK and approximately 90% of them with gardens, coupled with the potential in the commercial lawn care market, it’s an industry very much worth being a part of. For further details on this sale, please download and complete the Non Disclosure Form and contact us. TruGreen Professional LawnCare, one of the UK’s leading domestic lawn care providers has reported 15% growth for the year ending December 2016, which is on top of the 27% growth the business achieved in 2015. The franchise business has posted a record 29 months of consecutive growth, with local revenues up by up to 85% in some areas of the UK. Owned and supported by franchisor, ServiceMaster, TruGreen is the world’s largest lawn care services provider. TruGreen was awarded Full Membership status of the British Franchise Association in September 2016 and is a Corporate PLUS member of the Institute of Groundsmanship, which is the leading organisation that represents professional groundsmen and women. We have an established lawn care business for sale in South Lincolnshire. This franchise business was established in April 2005 to provide a professional lawn care service to customers within a defined territory, covering Newark, Skegness, Boston, Spalding, Market Deeping and surrounding area. The current owner has other business commitments and only operates this business 3-4 days a week for approximately 8 months of the year. This territory has approximately 155,000 households, providing a great opportunity for an energetic and focused owner to build a substantial business. The lawn care industry is huge. With 26.4 million households in the UK and approximately 90% of them with gardens, coupled with the potential in the commercial lawn care market, it’s an industry very much worth being a part of. For further details on this sale, please download and complete the Non Disclosure Form and contact us. We have an established lawn care business for sale in South Oxfordshire. This business was established over 9 years ago in February of 2010. This is a Lawncare franchise which is owned and operated under licence from the Franchisor ServiceMaster Limited, under the brand name of TruGreen Professional Lawncare. The business is licensed to provide professional lawn care services to residential and Commercial customers within a defined territory which has approximately 85,000 serviceable households, with the territory coverage including; Oxford, Caversham, Henley on Thames, Blewbury and Marlow. This flexible business opportunity allows you to work throughout the calendar year on days, at times to suit your lifestyle. The health benefits are excellent as working outdoors is great physically and mentally. Meeting customers day in day out is also rewarding for those who may be people orientated and the specialist side of lawn care is certainly an interesting topic to specialist in. This business currently has in the region of 250 regular residential customers. These customers are on annual agreements, with a programme of 4-5 treatments per annum. This business is presently a one man/one van operation and does not currently have any employees, although all finance and administrative duties are completed by the business owner wife, a fellow Director of the Company. This business is run from home with a rented farm unit used for stock and machinery. The Business can be re-located anywhere within the franchised territory. Running the business from home helps to keep the costs down and the profit margins high. This is a well-run and operated business and the sole reason for the present franchisee looking for a sale, is that the business has reached the point where further development would require the employment of additional full time technicians, and given that the present business owner does not wish to progress beyond the present one person/ one van operation, he has decided to sell and gain a return on his initial investment. This opportunity would suit an individual who is looking to invest in a growing market to realise the investment through marketing and taking advantage of the growth structure supported by TruGreen. Marketing support and assistance from ServiceMaster Limited. The business owner has not invested in any marketing activities for the last 5 years and has maintained the business through customer satisfaction and referrals. We would strongly recommend that the new business owner invests in a marketing campaign, of which we can fully assist with through our marketing department. We provide 1-2-1 marketing support to all business owners in the franchise network. 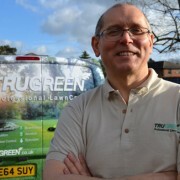 The TruGreen Franchise Network is headed up by Steve Welch who has over 40 years experience in the lawn care sector. Steve is passionate about lawn care and provides a 1-2-1 and ad hoc support system to his business owners. Steve, along with the rest of the support team at TruGreen conduct the two-week training academy for all new Trugreen business owners. For further details on this sale, please contact a member of the team direct on 0116 275 9005 for the prospectus and most recent accounts. We have an established lawn care business for sale in Berkshire South. This business was established in 2010. This is a Lawncare franchise which is owned and operated under licence from the Franchisor ServiceMaster Limited, under the brand name of TruGreen Professional Lawncare. The business is licensed to provide professional Lawncare services to residential and commercial customers in the defined territory, which has approximately 131,000 households, and covers areas including Reading, Wokingham and Maidenhead. These territories are large enough to support multiple vehicles, with the potential of each van generating turnover in the region of £60K+ plus. For an ambitious owner the opportunity is there to use the stable customer base that is currently served and implement a marketing programme to increase sales and build a substantial Lawncare business. This business currently has in the region of 233 regular residential customers. These customers are on yearly programme, with a programme of 4-5 treatments per annum. There has been year on year marketing completed in the area, providing an opportunity for any potential purchaser to develop the business through further marketing opportunities. Assistance with this is available from the franchisors marketing department. The focus of the business is on the residential market, and the business can be further developed by providing lawn care and gardening services to small commercial businesses within the territory. This business is presently a one man/one van operation and does not currently have any employees. This business is run from home with a single garage used for stock and machinery. The Business can be re-located anywhere within the franchised territory. Reason for Sale – This is a well-run and operated business and the sole reason for the present franchisee looking for a sale, is that the business has reached the point where the next stage of development would entail employing staff and purchasing an additional van and with continued growth in the business the present owner has decided upon retiring and gaining a return on his original investment. The machinery and equipment that is included in this sale. A scarifier unit, an aerator, knapsack sprayer, and pedestrian and hand held fertiliser spreaders. Hand tools and various equipment including measuring jugs and scarification rakes. On-going support, help and advice from the Brand Manager. Access to an Employers helpline. Benefits of cross selling and joint marketing programmes through the ServiceMaster Family of Brands. No van is included in this sale and any prospective buyer will need to purchase or lease a vehicle. TruGreen Professional LawnCare, which is part of the world’s largest lawn care company, has been awarded full membership of the British Franchise Association (bfa) after completing the association’s accreditation process. Established in the UK in 2005, TruGreen is a franchise of ServiceMaster, which is one of the UK’s largest multi-brand franchisors. The brand currently operates in over 45 regions across the country, serving more than 5,000 customers annually. TruGreen is no stranger to bfa accolades with Newbury and Basingstoke franchisee Mike Lethbridge awaiting the outcome of the bfa Franchisee of the Year Award on Sep 29. 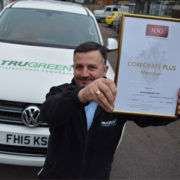 Mike is the second TruGreen franchisee to be shortlisted in two years, with Les Graves of TruGreen South Bedfordshire having achieved the same honour in 2015. 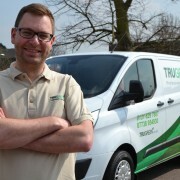 TruGreen welcomed its newest franchisee, Jonathan Bell to the network in September. Jonathan invested in TruGreen Downlands and serves customers in Devizes, Malborough, Swindon, Wantage, Pangbourne and Hungerford. A businessman with over 30 years’ experience of managing multi-million pound, customer-facing companies has ditched the pinstripe suit for lawn stripes and an outdoor lifestyle as he launches his new lawn care franchise in the Downlands area. Jonathan Bell, 53, is the owner and operator of TruGreen Professional LawnCare Downlands and will provide bespoke lawn care solutions to residents across Devizes, Marlborough, Swindon, Wantage, Pangbourne and Hungerford. After receiving full training from TruGreen’s brand operations manager and former Wembley head groundsman, Steve Welch, and completing his City & Guilds spraying qualifications, Jonathan is ready to serve the c.40,000 households within his businesses’ territory. Founded in 1973, TruGreen is one of the world’s largest lawn care companies, serving over 3.5 million customers each year. TruGreen UK is a franchise of ServiceMaster, which launched in the UK in 1959. Jonathan said: “I’ve always enjoyed being outside, whatever the weather and when I was deciding on my next venture, I wanted an opportunity that would mean I could get away from the office. My experience is centred on providing a high quality service to customers and I found a synergy with the TruGreen Professional LawnCare franchise opportunity. TruGreen’s core services are based around controlling moss, weed, disease and pests in customers’ lawns, helping them to achieve a green, healthy lawn. An already award-winning business woman in Milton Keynes has claimed the ‘Award of Excellence’ from within the franchise network in which she operates in. The annual award is presented to the franchise owner who exemplifies the pursuit of excellence in all aspects of their business. 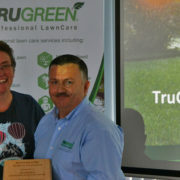 Karen Burdett, the owner and operator of TruGreen Milton Keynes and West Northants, which is part of the world’s largest lawn care business, was presented the Award of Excellence in front of her fellow UK franchisees during the annual summer TruGreen meeting. Karen was selected due to her tireless work in growing and developing her local business and achieving great levels of customer service. The business currently has a score of 9.92/10 on Checkatrade, having received over 70 independent reviews. Karen said: “I’m really proud to have been selected from amongst my peers for this award. There are some great TruGreen businesses across the UK and for my business to be identified as excellent is a great achievement. TruGreen Milton Keynes and West Northants was launched by Karen Burdett in 2012. In 2013, Karen was named the New Woman Franchisee of the Year at the Encouraging Women into Franchising (EWIF) Awards. A former mortgage advisor who swapped loans for lawn care less than 18 months ago has been shortlisted for a national business award thanks to his record-breaking performance. 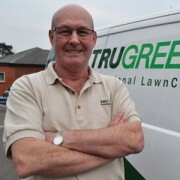 Mike Lethbridge owns and operates the Newbury & Basingstoke franchise of professional lawn care company TruGreen from his home in Kingsclere. He’s one of just three people nominated by the British Franchise Association (bfa) in the Microbusiness category of the 2016 bfa HSBC Franchisee of the Year Awards. A year after his launch in March 2015, Mike reported the fifth highest monthly turnover in the TruGreen network of over 30 outlets, having broken the company’s all-time record for the fastest acquisition of 100 customers by a franchisee. Along the way he’s created three local jobs – including helping an apprentice pass his driving test and City & Guilds qualifications with the promise of his own van in the growing lawn care business – and is currently recruiting for two further positions. It’s been quite the turnaround for a man whose background lies in property and banking. Mike said: “I’ve only been in franchising for just over a year but I’ve honestly not looked back since taking the plunge and can firmly and confidently say this is the best decision I’ve ever made. Mike says his move to self-employment was driven by a desire to transform his lifestyle. “I’ve invested more than just money into my franchise,” he says. “It was about changing my way of life and bringing greater enjoyment into what I do every day, including giving young local people an employment opportunity. The awards, which have run for almost 30 years, are the oldest and most prestigious in the £15bn franchise sector. They recognise the country’s best franchisees – self-employed business owners – for their community work, business growth and development, and customer service excellence. Winners are named on Thursday 29 September in a black-tie ceremony at Birmingham Town Hall. See www.the bfa.org/franchise-awards for more details. We have an established lawn care business for sale in Chippenham. This Chippenham TruGreen business was established in May 2004. This is a Lawncare franchise which is owned and operated under licence from the Franchisor ServiceMaster Limited, under the brand name of TruGreen Professional Lawncare. The business is licensed to provide professional Lawncare services to residential and smaller commercial customers within a defined territory (Chippenham) which has approximately 145,000 households, providing a great opportunity for an energetic and focussed owner to build a large and substantial business. The area is capable of growing a substantial customers base developing the business into a multi-van operation, with the potential of each van generating turnover in the region of £60,000 plus. For an ambitious owner the opportunity is there to use the stable customer base that is currently served and implement a marketing programme to further increase sales. This business currently has in the region of 160 regular residential customers. The majority of these customers are on yearly agreements, with a programme of 4-5 treatments per annum. The focus of the business is on the residential market, and the business can be further developed by providing lawn care and gardening services to small commercial businesses within the territory. This business is run from home with a domestic garage used for stock and machinery. The Business can be re-located anywhere within the franchised territories. This is a well-run and operated business and the main reason for the present franchisee looking for a sale, is that having reached retirement age, he wishes to spend more time on other interests while looking for a return on his original investment. Transfer of customer database, both active and lapsed. Two week training before commencement of trading provided by the Franchisor covering all aspects of operating the business. A Teesside lawn care company has reported serving its 125th customer, having launched as TruGreen Professional LawnCare Teesside in early May 2016. Martin and Kay Rogers, both of Teesside, chose to purchase the license to operate as a TruGreen franchise to help grow their existing lawn care business. 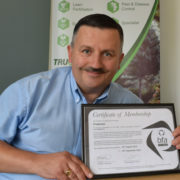 Martin underwent extensive training under the tutelage of TruGreen brand operations manager, Steve Welch and completed his professional training, gaining his PA1 and PA6 certificates in the safe use of pesticides. TruGreen Professional LawnCare is franchised by ServiceMaster, one of the UK’s leading and longest established multi-brand franchisors. 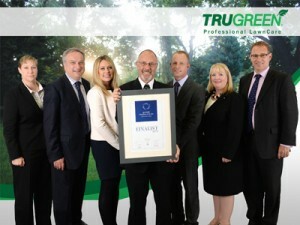 You can read more about TruGreen Teesside here. A Teesside couple have launched a franchise of the world’s largest lawn care company to operate across Teesside and hope to take on new staff imminently. Martin and Kay Rogers purchased the license to operate TruGreen Professional LawnCare, which will provide bespoke lawn care services across Teesside and the surrounding areas, in April and Martin underwent intensive training in all aspects of lawn care. The couple chose to launch the franchise as an opportunity to turn Martin’s passion for gardening into a viable business that would serve their local community. With previous experience in franchising and a career in banking between them, Martin and Kay are ready to hit the ground running, bringing on and training a number of new staff as the business acquires customers. 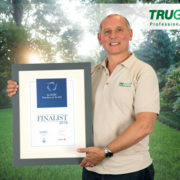 TruGreen is a franchise of ServiceMaster, one of the longest established and leading multi-brand franchisors in the UK. All new TruGreen franchisees undertake two weeks training under the tutelage of TruGreen’s brand operations manager and ex-Wembley head groundsman, Steve Welch. With spring in full flow, now is the time to be looking at the condition of your lawn and taking the necessary steps to combat moss and weeds that have built up over the mild winter period we’ve experienced. Simple steps can help homeowners achieve a beautiful lawn for the summer. A Berkshire businessman has completed a successful first full year operating his professional lawn care franchise by acquiring his 100th customer and taking on two new technicians. Barrie Dixon, the owner of TruGreen Professional LawnCare South East Berkshire and North West Surrey, has taken his business from a standing start in April 2015 to serving 100 customers across the region. To manage the workload, the business employed two further local technicians, Nigel Stamp and Ben Kane. TruGreen is part of the world’s largest lawn care company, based in the US and is a franchise of Leicester-based, ServiceMaster. Barrie launched his franchise business after a 12-year career in the gardening and lawn care industry and he has seen his business go from strength to strength during his first year. 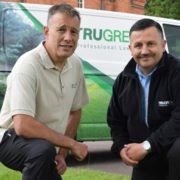 Barrie Dixon, business owner, TruGreen Professional LawnCare South East Berkshire and North West Surrey said: “I’ve had a fantastic first year with TruGreen and I’m so pleased to have reached the 100 customer mark. I’ve seen my business grow dramatically and I’m delighted to have taken on staff already. Barrie added “Now that spring is finally here, it’s the time to be looking at the condition of your lawn and taking the necessary steps to combat moss and weeds that have built up over the winter months. Simple steps can help homeowners achieve a beautiful lawn for the summer. A Stebbing businessman has celebrated finishing his first full year operating his professional lawn care franchise by acquiring his 100th customer. Martyn Horton, the owner of TruGreen Professional LawnCare East Herts and North Essex, has taken his business from a standing start in April 2015 to where it is today, serving 100 customers across his territory. Martyn launched his TruGreen business after finishing a career in financial services and he has seen his business go from strength to strength during his first year. 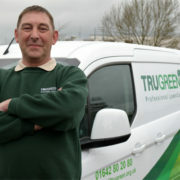 Martyn said: “I’ve had a fantastic first 12 months with TruGreen and I’m so pleased to have picked up my 100th customer. It feels great to be working in my local area, serving residents and making a difference to the lawns across East Hertfordshire and North Essex. A lawn care business owner has expanded his operation by purchasing the franchise licence to operate in Bromley, 11 years after launching his lawn care business in Epsom. Michael Beecheno, owner of TruGreen Professional LawnCare Epsom and now Bromley, has expanded the business and taken on a new member of staff, Chris Collis to manage the delivery of lawn care services to customers in the area. This expansion will open up new opportunities and will allow the business to serve hundreds of new customers. TruGreen is a franchise of ServiceMaster, which is based in Leicestershire and has been franchising for over 55 years in the UK. A Kingsclere businessman has broken records in the franchise network he operates in after acquiring over 100 customers in his first year of operation. Mike Lethbridge, the owner of TruGreen Professional LawnCare Newbury and Basingstoke has taken his business from a standing start in 2015 to employing two technicians, adding another vehicle to service new and existing customers, purchasing another territory and finishing within the top third of the best performing TruGreen franchisees. Mike launched his TruGreen business after finishing an extensive career in IT and financial services. After the rapid growth of his business in year one, he decided to expand his operation into Winchester and Salisbury and take on two new members of staff, Chris Jolley and James Brown, both of Kingsclere. TruGreen is a franchise of Leicestershire-based, ServiceMaster Limited, which has been established in the UK since 1959. Revenue for national lawn care franchise, TruGreen Professional LawnCare grew by 27% in 2015, following significant investment into its local marketing support, digital strategy and operating model. The company, which provides professional lawn care services to domestic customers across the country, saw a rise in product sales, customer numbers and franchise fees during the year, leading to a five year record level revenue. TruGreen UK is part of the world’s largest lawn care franchise, which launched in the US in 1973 and is part of franchisor, ServiceMaster in the UK. A Buckinghamshire man whose recession-busting lawn care business has grown year-on-year, has been shortlisted for a national award. Les Graves, 59, is one of three finalists in the ‘Micro’ business category at the 2015 bfa HSBC Franchisee of the Year Awards supported by Express Newspapers, for his TruGreen Professional LawnCare franchise. A factory manager for over 30 years before being made redundant, Les is the owner of TruGreen South Bedfordshire, a lawn care business which now employs his son Stephen as a manager, who joined him in 2013. By the end of 2014, Les’ Bedfordshire lawn care business had 300 customers and a turnover of almost £60,000; turnover in the first six months of 2015 is up 60%, year-on-year. In 2014 he was named TruGreen Franchisee of the Year by franchisor, ServiceMaster, which has been trading in the UK for over 55 years. The bfa awards showcase the diversity of excellence in the franchise sector, encouraging businesses of all sizes and sectors to demonstrate their outstanding achievements. Winners will be announced at a black tie dinner on 1st October at the Town Hall, Birmingham. Local Edinburgh resident, David Inglis, 34, has launched his own business and the first Scottish, TruGreen Professional LawnCare franchise, as the gardening season moves into full swing. David, who previously held a career in training and development with HSBC, invested in the franchise, which is part of the world’s largest lawn care business, after developing a passion for outdoors work and a desire to run his own business. TruGreen operates across the UK, helping customers create beautiful lawns by using the latest technology and expertise in grass growing. David will serve a potential 115,000 customers to the west of Edinburgh. David said: “I’ve spent many years helping my colleagues develop in their careers and I felt the time was right to look at my own options and make an investment into my future. TruGreen affords me the opportunity to manage my own business, work closely with customers, all with the support of a national company behind me. TruGreen is a franchise of Leicestershire-based, ServiceMaster Limited, which has been established in the UK since 1959. 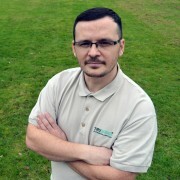 Each new TruGreen franchisee undertakes a two week, intensive training academy at ServiceMaster’s head office, during which time they achieve their qualification in pesticide application from the National Proficiency Council and full technical training from TruGreen’s brand operations manager and ex-Wembley head groundsman, Steve Welch. 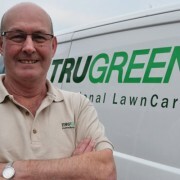 As we enter the busiest season for lawn care, gardening and DIY, Stebbing-resident and former Financial Services Executive, Martyn Horton has launched his own business after buying into the professional lawn care franchise, TruGreen. Part of the world’s largest lawn care business, TruGreen UK operates across the country, helping customers create beautiful lawns by using the latest technology and expertise in grass growing. Prior to buying the franchise license to operate across East Hertfordshire and North Essex, serving a potential 130,000 customers, Martyn spent 10 years working in Financial Services in the City. Martyn said: “I wanted a change of lifestyle and to swap the commute to London for something more enjoyable. Investing in TruGreen offered me a great opportunity to enjoy my work, learn some new skills, work closely with customers and build a successful business. I have big plans for the franchise and my long-term goal is to be a trusted employer of local people, offering apprenticeships and other opportunities for young people to learn a trade.